- After 25 km, get the exit at Castellammare di Stabia. 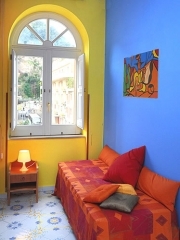 - Once you have arrived in Sorrento, follow the directions towards Sant’Agata on the “Via Nastro Verde” street. After about 2 km turn left towards in the direction of Priora center. Continue through 400 meters. At the crossroads follow the main road for 300 meters. 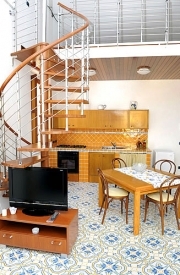 In the proximity of the crossing between Via Santa Maria del Toro and Via Crocevia, and a few meters before the Depandance of the Relais Diana, indicated with a sign, turn right and continue for 25 meters and you will find the bed and breakfast Sorrento Italy Relais Diana.